By Dr Corrine Austin, scientist and director of Austin Davis Biologics. Tapeworm infections in horses need to be considered separately from roundworm and redworm infections. There are two main reasons for this; firstly detection of a tapeworm burden is not straightforward. Standard worm egg counts do not reliably detect tapeworm eggs as they are released within specialised packets rather than being spread throughout the faeces. Secondly, there are only two drugs capable of effectively killing tapeworms; praziquantel and a double dose of pyrantel embonate. Therefore, it is important that we preserve the efficacy of these drugs and reduce the risk of resistance emerging. We can do this by testing first, before resorting to the use of wormers. How can you test for tapeworm in horses? Tapeworm burdens can be accurately diagnosed using either a blood or a saliva test, both of which detect tapeworm-specific antibodies present in the sample. The EquiSal Tapeworm saliva test works like a blood test, but instead, uses saliva that you collect yourself. The test is scientifically proven to diagnose tapeworm burdens with high accuracy, so it tells you if your horse has a burden and whether you need to worm or not. 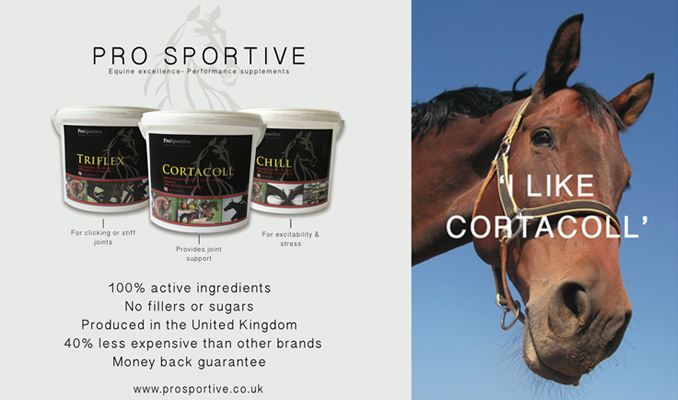 Using EquiSal Tapeworm as part of your worm control programme? It is easy to integrate an EquiSal Tapeworm test into your worm control programme – simply test every 6 months at a time when you would consider routine worming for tapeworm. Your programme should also include regular worm egg counts for redworm and roundworm, and a winter worming dose for encysted redworm. To test for tapeworm, all you need to do is collect saliva from your horse using the specially designed EquiSal swab and then return it to the lab using the freepost bag included with the test kit. Results are emailed with a worming recommendation. Three species of tapeworm are capable of infecting horses; the most common in the UK is Anoplocephala perfoliata. It can grow up to 8 cm long and is made up of a series of segments. The head has four suckers which the tapeworm uses to attach itself to a small region of the intestines called the ileocaecal junction. 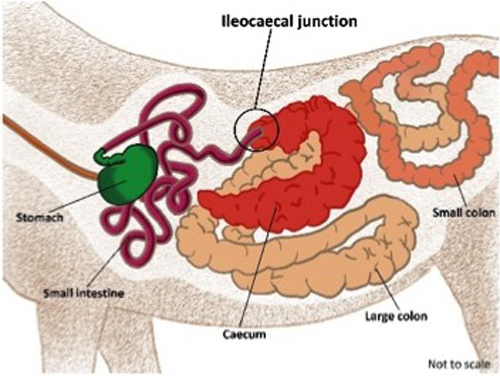 This localised colonisation causes damage to the intestines and the presence of large numbers causes intestinal obstruction and clinical disease, resulting in colic. The tapeworm life cycle is different from other horse worms as it requires an intermediate host – the oribatid mite. Infected horses pass tapeworm eggs onto the pasture where they are consumed by the mites. The eggs develop into larvae within the mite until the mite is ingested by a grazing horse, allowing the larvae to be released into the intestines. The larvae complete the life cycle by attaching to the lining of the intestines where they develop into adult tapeworms capable of releasing eggs. The oribatid mites live within the grass and soil of our pastures, but the number of infected mites depends on the level of infected horses grazing the paddocks. If there are a lot of infected horses in a paddock, then a high proportion of the oribatid mites will be infected.